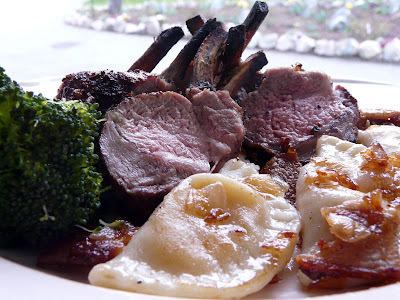 Perogies are not what I would normally serve as a side with Rack of Lamb. I didn't hear any complaints from Moe though. 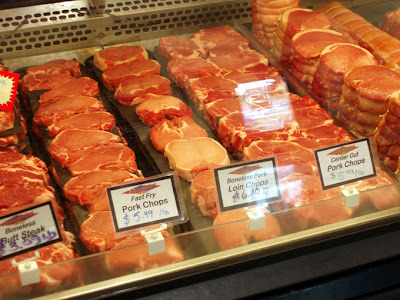 Monday, on my way back from getting physio on my neck (I put it out on Saturday) I stopped at my favourite butcher, the Cowichan Valley Meat Market. 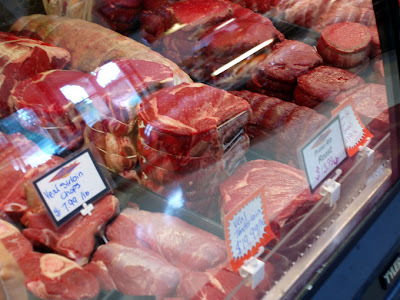 This meat market is unique.It is owned by the Quist family and they have been in the business for a number of generations. They own a farm where they raise not only all the meats that they sell but they also grow their own feed. I took these pictures a couple of years ago when I did a blog on Egullet about the Cowichan Valley. 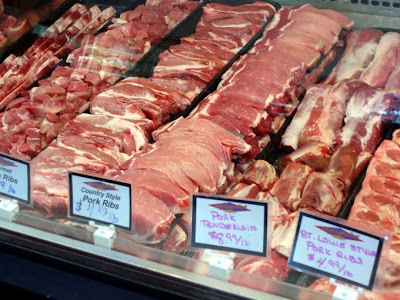 I picked up a few things, including a rack of lamb and the side pork/pork belly for the perogies. I also bought one of their smoked hams and a rack of pork. I froze the pork and I'm planning on cooking the ham on Sunday before I go to work and we will have it for Easter Dinner. Your dinner looks wonderful, Ann. 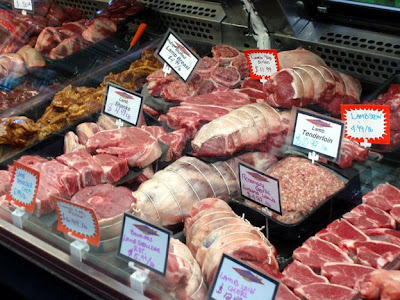 How fortunate you are to have such a great local butcher. Your photos are perfection - as always!! What a meal. It would definitely make the ideal Easter feast :).